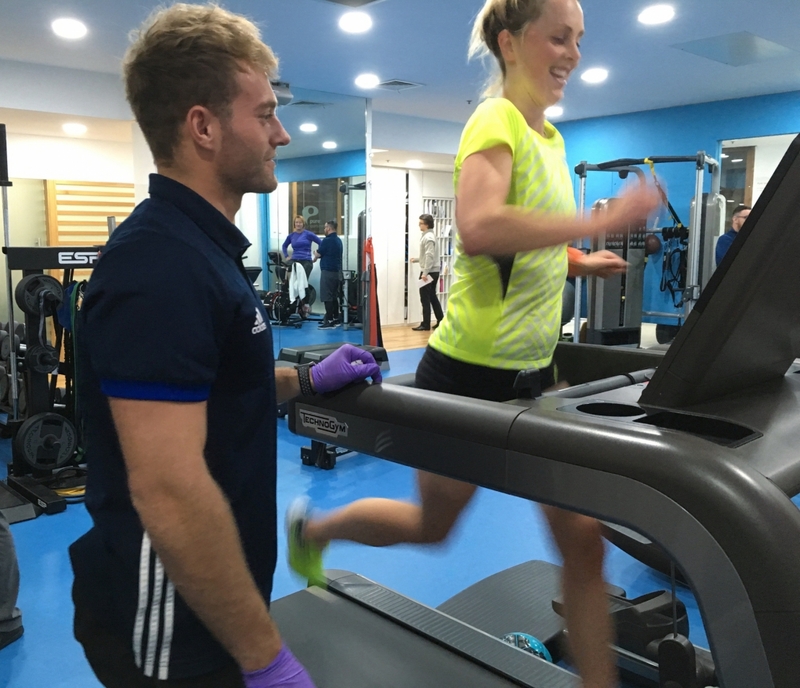 Physiotherapist Neil Smith’s monthly article to guide your Marathon training.This month he talks to exercise physiologist Phil McCoy about how science can improve training. This month’s blog focuses on physiological testing and how it can be used to maximize someone’s training potential. 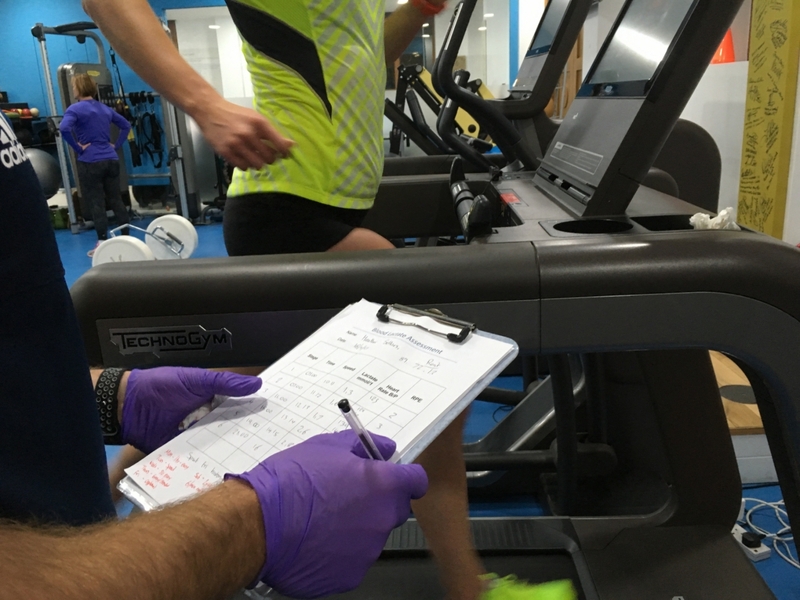 I sat down with Phil McCoy, exercise physiologist at our Threadneedle Street clinic, to discuss the role of science within marathon training. Phil, last month’s blog looked at marathon base training in detail and raised the topic of building an aerobic fitness base. Could you expand on this idea and shed some light on the science behind it? Our aerobic fitness is the backbone to our physical preparation in endurance running performance. Without a good level of aerobic fitness your ability to run and race to your best is limited, as your body just cannot keep up with the physical demands that are being placed upon it. Consider aerobic fitness to be your engine; the better the engine, the quicker and longer and higher intensity your body can perform for. Improving your aerobic fitness is simple to do and can require little equipment or cost. Running is the cheapest form of aerobic fitness and the options are endless as discussed in the previous post of anything that gets your heart rate (HR) up and keeps it up at a set intensity is going to help build your aerobic capacity. Other factors that are linked to your efficiency to run a marathon at your physical best include, running economy, heat storage, body size in addition to muscular and central fatigue. That’s great. So how would someone go about planning their workouts to help improve their aerobic fitness using science? If you are running your first marathon, planning your workouts is key. Firstly, it is important to establish what will make the greatest impact to your overall performance and this can range from injury prevention, aerobic capacity, muscular endurance or a hydration & nutrition strategy. One of the first steps I would recommend would be to apply some science to your fitness training in order to ensure you are training efficiently, ensuring you are maximizing training time each week. This will also help set out a baseline of your current performance, at the same time, picking out any weaknesses that may be incorporated into your training and help plan your priorities. So, are there tests that can be done to assess current levels of aerobic fitness? Absolutely, if you are looking to improve your overall fitness for running, one of the first steps would be to analyze your fitness in a performance test in order to ensure you are training efficiently. One of these physiological assessments for endurance performance is called a blood lactate assessment. This will assess your physiological response to an increase in exercise intensity, whilst gaining a baseline of your current performance it can also be used to set training zones at specific heart rates and speeds to develop your aerobic capacity. This is a sub-maximal test that analyses your response to exercise intensity. By understanding your lactate threshold, you are then able to train smarter. The results of this test will allow you to maximise your training time with designated heart rate zones (if you train 5 or less hours per week – it’s even more crucial to make sure you train at the correct intensity). This helps to maximize your training volume, intensity and recovery within a programme designed specifically for you. 1) You are monitoring training intensity and will help avoid over training & injury (work / lifestyle / training balance). How can this information be used to help achieve the best possible marathon time? The main goal is to run the marathon within your maximal lactate steady state (MLSS) using the minimum energy cost throughout 26 miles. VO2 max, lactate threshold and running economy are some of the physiological determinants of this distance running performance. If you have an event coming up or are looking to compete in the London Marathon it is important to start recording the volume and intensity of exercise you are doing, whether that be running, cross training or any other aerobic work. This will help you review your training over a longer period of time and will start to build towards a pacing strategy, which is crucial once race day comes round. Excellent, any final words to those about to embark on a training plan? It is all about maximising training time but also the sense of accomplishment when you start performing efficiently, so when it comes to the big day you can get maximum enjoyment, feel the atmosphere in the crowds and run at your best. If you want to book an appointment with our exercise physiologists either follow the link or call our Threadneedle Street clinic.